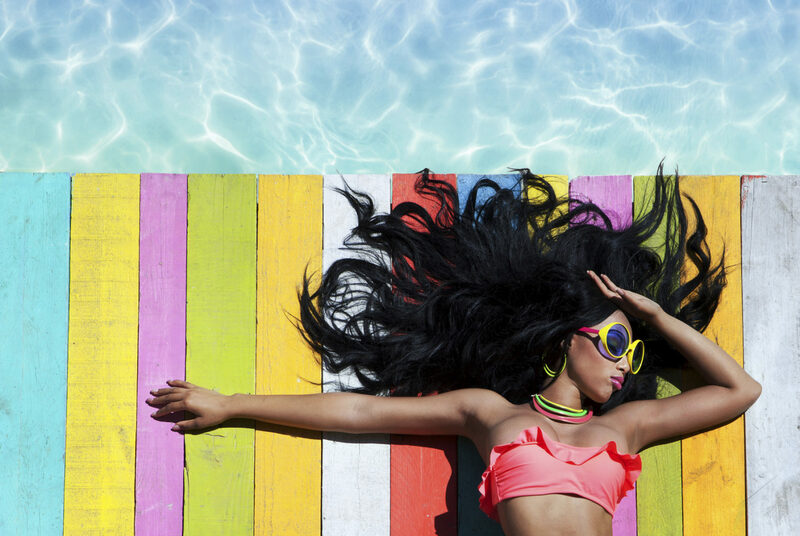 Summer tips to achieve that perfect waxed summer body. Did you know sugar is 8 times more addictive than cocaine? We’re not making that up! And it does no good whatsoever for your diet too! Why is this? Well sugar contains no essential nutrients for a start. Eating too much puts strain on your liver and puts you at risk of non-alcoholic fatty liver disease, as well as increasing the risk of diabetes. The main thing for us though, is that sugar is high in fructose, which decreases activity in the satiety centre’s of the brain – therefore making you feel hungrier, so you’ll eat more and gain unwanted weight. Bottom line – drop the sugar! It goes without saying that a summer body will require a drop in calories too. You shouldn’t starve yourself at all – contrary to popular belief, starving yourself will make you gain weight, as any calories you consume will be kept as fat stores by your body. Instead, stick with 3 meals a day, and control your portions so that you’re not feeling bloated. The smaller calorie drops will add up throughout the day and help shed the pounds without even you even realising. Yup, you heard us. Pizza, chips, dessert, chocolate – the whole works. It’s all full of bad quality, ‘empty’ calories that are no good for you nutritionally. In order to get that awesome, head turning summer body, you need to feed your body the right building blocks. Let me give you an analogy – you can’t build a house out of corn and paper, you need bricks and concrete. Same goes for your body – eating junk food won’t build you a summer body. Food and nutrition is only one part of the equation. Adequate exercise is also just as important. Key to this, is doing cardio. This involves running on the treadmill, using the cross trainer, rower and bike. You don’t even need to join a gym – going for a run around the block 3 times a week won’t cost you a penny. It’ll help promote a healthy metabolism, and ensures that any excess calories are kept at bay. One of the secrets of a good body is to use weights. Now any ladies reading this are probably thinking that they don’t want to look bulky and gain muscle. It’s time to bust this myth. Women who train with weights won’t become big, bulky and ready to enter the next women’s bodybuilding contest. It’s simply impossible without using performance-enhancing drugs. The reason why is simple – women don’t produce enough natural testosterone to be able to build muscle in large amounts. On average, women have around 20% of the amount of testosterone an average male would have. What you ladies will be left with instead is a lean, tight and firm physique – guaranteed to turn heads at the beach this summer! A relatively short and simple – yet often overlooked point. Doing everything we’ve spoken about above is all well and good, but doing it for 2 weeks and then deciding you’re going to treat yourself for all your hard work with a huge dessert is going to undo everything you’ve invested so much into! Long term changes are what will make the difference, and ensure that it doesn’t just become a summer body, but an all year round body! Another simple yet highly effective tip. Drinking water obviously keeps the body hydrated. What this does is promote a really healthy kidney and bladder, which in turn keeps your blood flow and internal organs clean too – don’t forget that the kidneys are the body’s filtration system! Keeping hydrated is also so good for your appearance, giving you brighter, fuller skin. Who needs botox right? To some, this might be just as hard as giving up junk food. After all, we’re all liable to the odd drink here or there aren’t we? Well, turns out that alcohol has monumental amounts of calories in it. On top of that, alcohol dehydrates you (hello hangover! ), and drastically reduces testosterone levels in the body – negatively impacting muscle mass and fat stores in the body for the worse. As we said above when talking about the portion control, small changes add up to big ones. And this applies to your lifestyle too. What do we mean? Well an example would be to take the stairs where you can instead of using the lift. The added activity will add up. Got a short journey to do? Leave the car at home and walk it instead. Trust us, it’ll pay off. So you’ve got a good diet, and are doing regular exercise. Now, for the finishing touch, getting rid of all the unwanted hair at a waxing studio that otherwise covers up all your hard work is the next step. 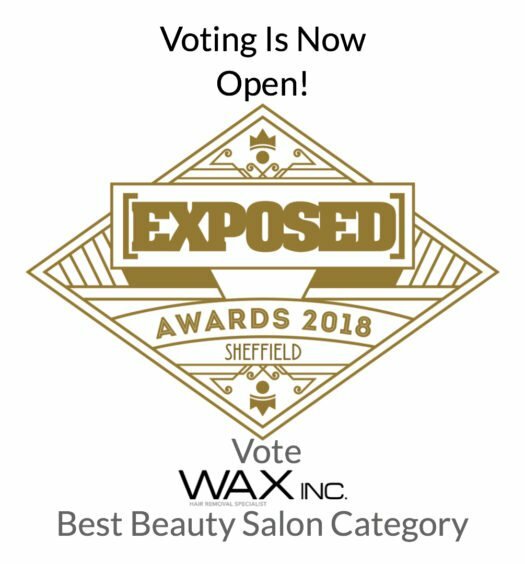 We’ve got loads of different types of wax for both men and women here at Wax Inc in Sheffield, covering everything from a quick session to rid hair from the necessary areas, all the way to full body waxing. To get yourself booked in either call us on 0114 327 2850 or book online! Error: Error validating access token: Session has expired on Saturday, 09-Feb-19 12:14:55 PST. The current time is Tuesday, 16-Apr-19 20:50:45 PDT.